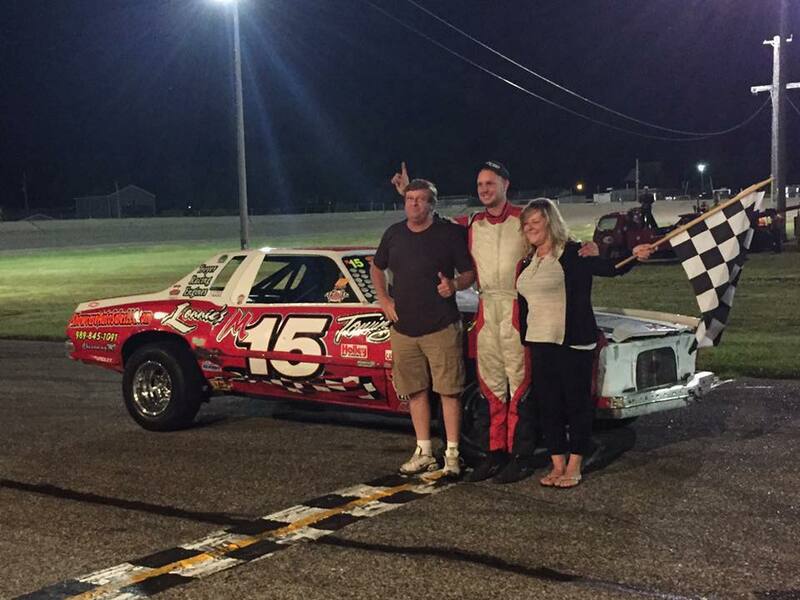 On Saturday, September 22, 2018 Owosso Speedway hosted their championship night at the 3/8 mile Michigan short track. The season points championships were set to be decided in four divisions. 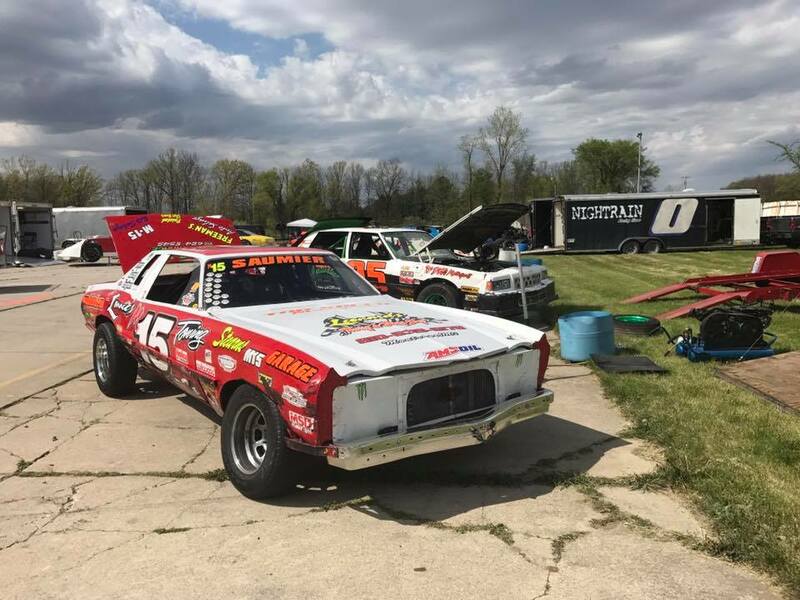 Lonnie Saumier loaded up his flatbed truck with the race car and unloaded at the Ovid, Michigan race track. A night of short track racing would decided the track champions for the year. Saumier qualified in 3rd of the sixteen drivers in competition that night. He went on to finish 2nd in his heat race. Following a late race caution in the feature, Lonnie Saumier took the lead. 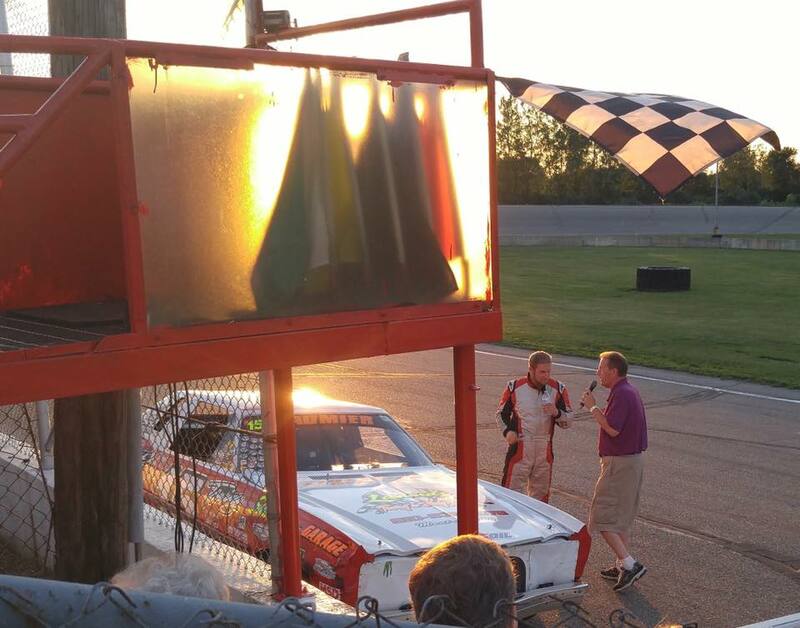 He would go on to win the Pure Stock race and move into 1st place in track championship standings. He would be declared the track champion for 2018. 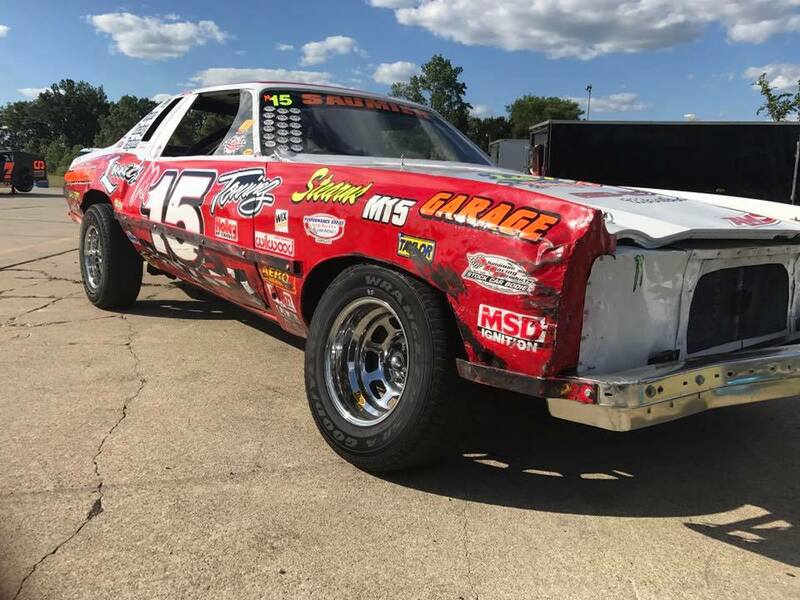 “Only at Owosso Speedway does the track owner call you 48 hours after the races are over to tell you he’s taking your championship away after everyone was cleared to go home Saturday night,” Lonnie Saumier said in the facebook statement. “I do not understand why a guy that just caught a break on the race track with a last lap caution, which 100% allowed him to win the feature race and win the 2018 Track Championship, would behave as he did after the race,” tracker promoter Dave Bigos stated. “Warning to all who are coming to the 2018 Nationals. Car, driver and only one other team member will be allowed behind the red gate at the pit garage after each feature. Violations will be immediately disqualified, NO questions asked! If I can prevent it, this type of crazy situation will not happen again on my watch,” Dave Bigos concluded. After the race, there was a big scene in the tech shed. There’s video of the scene that has surfaced and it has been posted below. Early in the video, you’ll see Lonnie Saumier walk out of the tech shed. From there, many individuals continued to make a scene. Yet, Saumier was still disqualified for behavioral reasons and disrespecting officials. However, the video would say otherwise. According to Shelby Saumier, the track owner said that he doesn’t have time to watch the video from the tech shed. 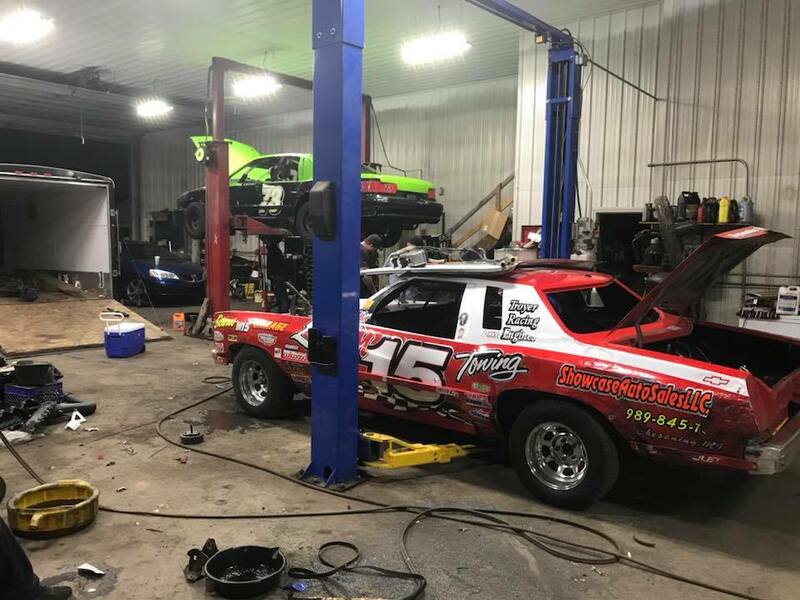 Lonnie Saumier was blocked from the Owosso Speedway facebook page and unable to comment his side of the story on the original post from the speedway. Why not let them have a look inside the engine? “They wanted us to pull intake manifold cylinder heads and exhaust manifolds. The Top 3 said that was fine we were waiting for the cars to cool down outside to drain the water before we pushed them in the tech barn,” Lonnie Saumier told RacingNews.co . Fel-Pro gaskets are the standard replacement as per the rulebook. These gaskets range from $25-$50. They are sold at places like Auto Zone. When you said top 3, I assume that meant the top 3 were all going to be inspected. Did the other two cars take off their manifolds? So, nobody got inspected but only you were disqualified? Are you going to miss running at that place? You were suppose to be the track champion. So, I assume you liked the place leading up to this? Plans to return in 2019? “I won’t return until new ownership is in place,” Lonnie Saumier concluded. s) Track may check at its discretion for Brezinski or Acid Ported components at any time. Non compliant intake, head and exhaust parts will be confiscated and a $250 non refundable fine paid to tech and Owosso Speedway to get your parts back. Bowl areas underneath valves must retain sharp edge- no polishing, no bowl hogging. Track retains right to tear down any competitor at any time and will replace your gaskets with stock Felpro gasket components if car is complaint at tracks expense. If car is illegal track has no obligation to refund gaskets. t) The track at any time during a competition event or tech inspection may ask you to look at the internals of your engine. The track at its discretion may ask you to pull the 1” Inspection Plug to inspect for pendulum cut cranks and or lightweight pistons and rods. (We have a lighted Bore Scope that we use for this inspection).